What are the keys to success? 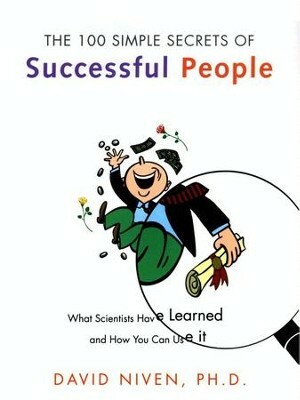 Scientists have studied the traits, beliefs, and practices of successful people in all walks of life. But the answers they find wind up in stuffy academic journals aimed at other scientists. The 100 Simple Secrets of Successful People takes the best and most important research results from over a thousand studies and spells out the key findings in ways we can all understand. Each entry contains advice based on those findings, a real life example of what to do or not to do, and a telling statistic based on scientific research. I'm the author/artist and I want to review The 100 Simple Secrets of Successful People - eBook.